FMF KTM Factory Racing’s Taylor Robert has won the E2 class at the 2018 International Six Days Enduro held in Vina del Mar, Chile. The American’s result took him to the overall runner-up spot in what was a supremely successful event for KTM, with teammate Steward Baylor Jr. finishing runner-up in the class. Held in Vina del Mar, a coastal resort city northwest of Santiago, the 93rd edition of the International Six Days Enduro brought over 400 riders from 25 nations together to battle it out in the Chilean dust. The U.S. World Trophy Teams brought home an outstanding finish of second-place in the World, Trophy, Junior World Trophy and Women's World Trophy categories showing the most consistency of any country in the six-day battle. E2 class and overall leader after the first day’s racing, Taylor Robert got his 2018 ISDE off to the perfect start. As the event progressed, the American continued to dominate E2 on his KTM, finishing fastest in class on every single full day of racing. Opting for a safe finish on Saturday’s final motocross test, Taylor took the class win by over five minutes from teammate Steward Baylor. In the overall classification, continued pressure from Australian rider Milner resulted in Robert dropping to second on day three. With the two KTM riders fighting hard to the final day, it was Milner who would ultimately take the win with Robert finishing as runner up. 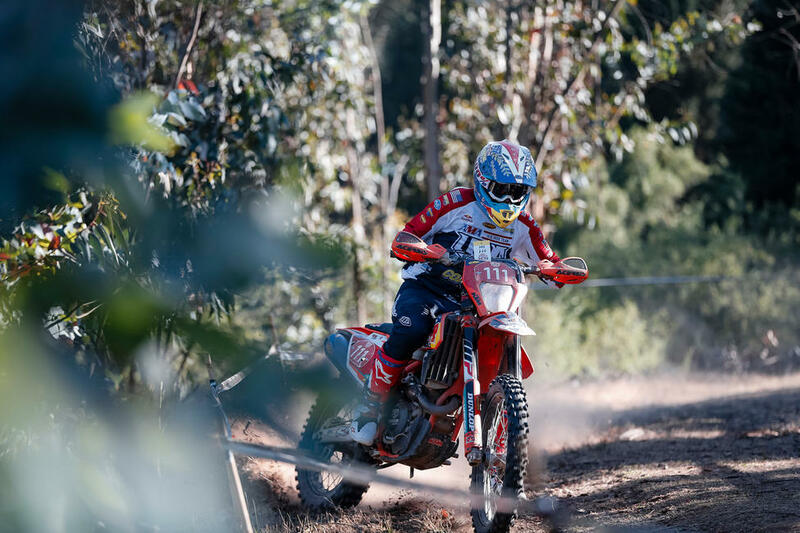 KTM’s Brandy Richards finished as runner-up in the EW class, just less than three minutes from the win after six long and extremely tough days in the South American heat. In the race for the Junior World Trophy prize, America’s Josh Toth took fifth place in the E1 class to assist Team USA in finishing as runner-up in the category along with KTM riders Ben Kelley and Grant Baylor.